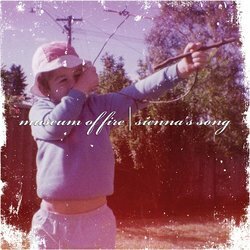 Museum of Fire is an Australian Rock band based in Perth and the main creation of singer/songwriter/ multi-instrumentalist Rob Walker. Walker's sound is identifiable as commercial-rock with considerable symphonic and acoustic influences, usually made with Walker’s unique hard-hitting acoustic guitar style. Walker’s style incorporates electronic instruments and processing, drum-driven tracks with heavy bass and vocal similarities ranging from classic rock to post-grunge. His solo show is a one-man-band performance that holds its own against any band he shares the stage with. As an artist, Walker is renowned for his unflagging commitment to melody and alluring lyrical ambiguity. “With a serious soulful voice set against well-constructed melodies and first-class songwriting, Rob Walker is the real deal.”- Blake Williams, Mix 94.5FM. (Commercial Radio Aus). “Rob is a great example of real music. His passion for his songs oozes with each lyric. A great local talent destined for bigger things.”- Brad Pottinger, Assistant MD 96FM Perth. (Commercial Radio Aus). • Jeff Martin/The Tea Party. • Clint Boge/The Butterfly Effect. Sienna's Song is a highly produced mainstream rock song. By design, the chorus was written with the radio listener in mind. It's aim is to hook the listener in to receive the message of the song. The song is a tribute to a little girl who passed away at 6 months old due to an adult fist size brain tumour.